For the first time I'm going to show my acne story and photos in public. For me it's scary because who likes to post pictures of their acne? I know there are a lot of people still suffering from (severe) acne, and I hope by sharing my story on how I fight against my acne will be helpful to some people. When I was little, I did have a little bit of acne. When I was 13 my mother decided to bring me to the beautician to cleanse my face and also bought some recommended professional skincare products (MD Formulations). From then on I learned to wash my 2 times a day and I went to the beautician regulary. My skin during those years was really improved by washing my face twice a day. 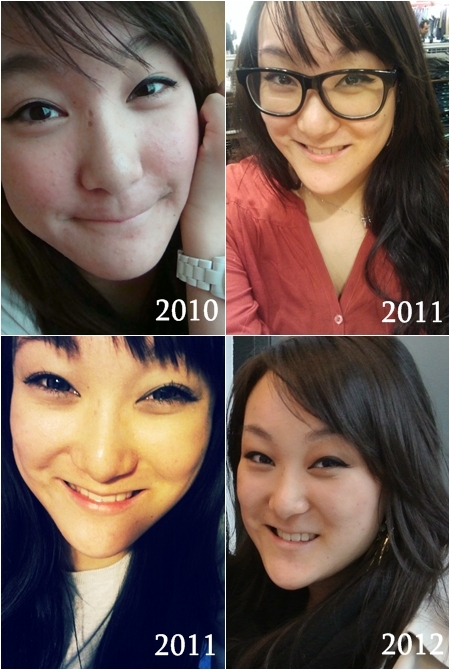 I really had no acne, but a few breakouts here and there, but that was okay since I was a teenager.After 2 years or so I stopped going to the beautician. 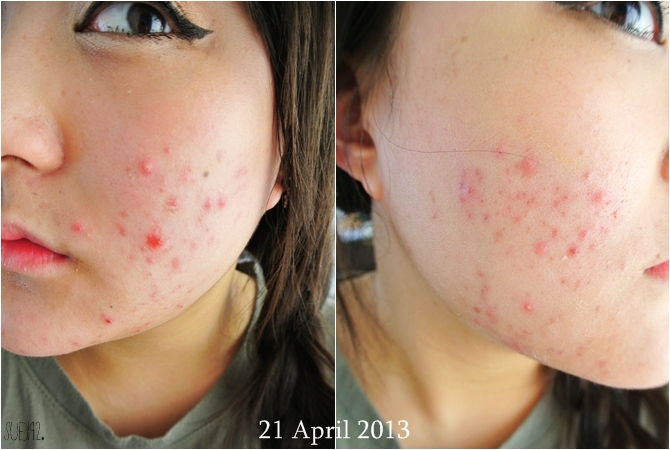 In 2010 (I was 17 back then) I started to use birth control pills and I got breakouts after a while, just little ones. But after the breakouts I've noticed later that my skin cleared up and got better than ever! I rarely got a pimple. My skin was pimple free, very smooth and sometimes I didn't even wash my face because of my laziness and the thought of "Oh I can skip for tonight, because my skin won't get worse". These years my skin was really amazing. I have used the pill for 2,5 years. And I've stopped around July/September 2012. This decision was influenced by my family. My mother and sister are against the pill because of various 'myths'. Asians say if you take the pill you will get hyper pigmentation spots on your face, difficulties to be pregnant, it's not natural and so on and on. And I didn't want to take the pill anymore because sometimes it was a pain to remember to take the pill daily. So that's why I wanted to be 'freed' it that makes sense haha. The months after I've stopped taking the pill I slowly got breakouts. I thought that was normal, since your hormones are getting confused and need time to get stable again. So was I really patient and I made a lot of effort to wash my face every day and night. 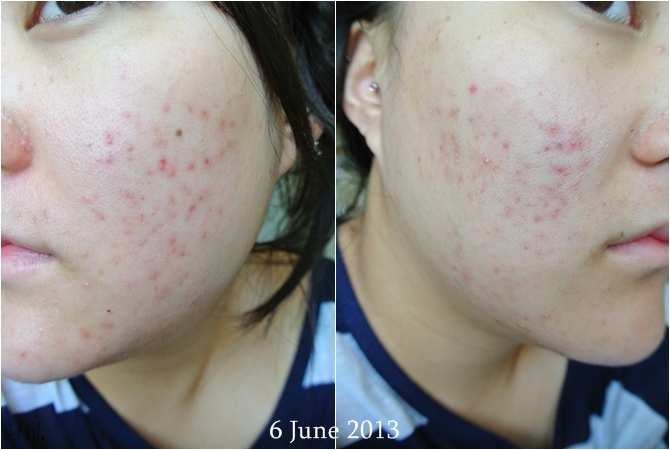 After couple of months it was getting worse, like real cystic acne. I was still patient and I tried various skincare products against acne (spot balm, skincare acne lines, tea tree). I was patient because I believed it takes a while before it will get stable and better and I didn't touch my face and pimple at all. 4 months went by and I started to get desperate. I realised the couple past years when my skin was amazing, it was because of the pill. I didn't know before that the pill was the reason. And by stopping the pill my skin was getting worse than ever. I did some research about consequences and most of the articles I read was that some got recovered, but some got severe acne after 2 months and started to taking the pill again. For some, acne went slowly away, but for a few it didn't do anything unfortunately. I've used the Eucerin acne line but it didn't really improve my skin. But still, I was convinced that I could cure my acne without using the pill. 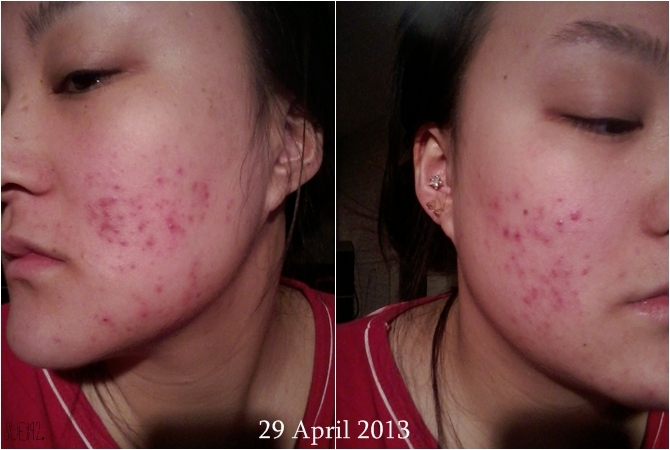 In January/February 2013 I went to the doctor and she gave me Benzoylperoxide Hydrogel 5% and Clindamycine for my acne. Benzoylperoxide is known as a very good cream/gel for curing acne. I also cut my fried food and started to eat cleaner. But the Benzoylperoxide made my skin extremely dry and flaky, which I didn't use daily any more and after a while I stopped using that after 3 tubes. Conclusion: no improvements, but only dry and flaky skin. Okay then I've tried natural remedies! I've been searching for informations and reviews and I've found BubzBeauty's oats remedy. Basically you use oats as a cleanser and/or add yoghurt to apply it as a mask. I've carried this remedy for 2/3 weeks. Unfortunately no improvement or whatsoever. Also it clogged up my sink and it was a pain to clean up the mess every time I use oats. I've also tried lemon toner, but I stopped with that very quickly. All the products/remedies I've tried so far didn't helped curing my acne at all. Buh. 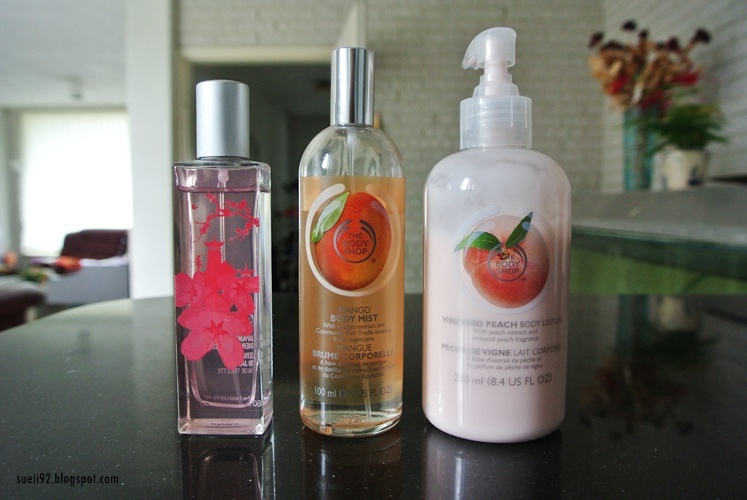 It's really frustrating, since you invest in al those skincare products but won't help at all. The most awkward thing for me is when my family say something about my face: "What's happened? 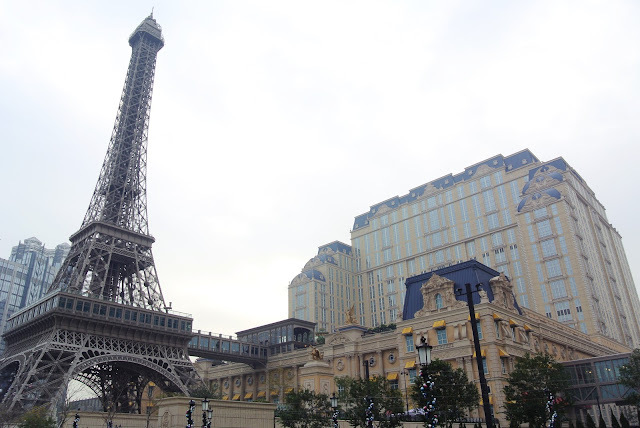 ", "It wasn't used like this", "It's so bad", "You need to stop eating noodles or fried food. ", "Why is that?". Sigh. I will give them my poker face and act like nothing as happened lol. I also really wanted to prove to my mother that the pill is a normal solution for acne. And that the pill did worked wonders for me. Fun fact: it's very normal here in the Netherlands for teenage girls to take the pill, some for contraption and/or curing acne and/or for irregular periods. I've also talked with my sister and she gave me something logically advice: "Whether you don't wear makeup at all and let your skin breath and heal naturally while using anti-acne skincare products, or you just start taking the pill again. Because if you try to heal your acne with anti-acne products but you still apply makeup doesn't help at all." Yes I do wear make up whenever I'm going out my house. I'm just embarrassed about my skin and I want to cover it up, slightly. What my sister said is true, and so I decided to give up the 'natural way' and started taking the pill again. And now I've been on the pill for less than 4 months now, since March 2013. I really could see the difference! Far less pimples, but the main thing that I'm struggling with are the severe acne scars. 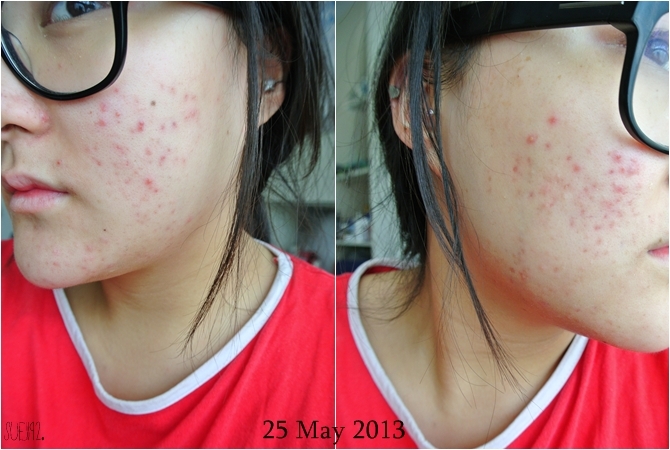 Here are my acne photos while I am on the pill: mainly on both cheeks and chin. On my forehead I used to have a bit of acne at my hairline but that is gone luckily. I don't have any pre-pill photos unfortunately. I know this is not the worst acne you've ever seen, but for me, these months has been quite though since I'm not used having acne. But my face had more acne before the pill. It's still in the healing stage now and as you can see the acne left me really deep and red acne scarring. I''m testing some products now which might work for my acne scars. But I also went to the doctor few days ago and he gave me an antibiotic for 2 months, Doxycycline. He said it helps to heal my acne and my acne scars. So I'm really curious how this antibiotic will work. I am suffering from acne for 9 months and I hope one day that I will have smooth and beautiful skin as I used to have. I will keep fighting! I am currently using Vichy Normaderm anti acne skincare line and other various products. 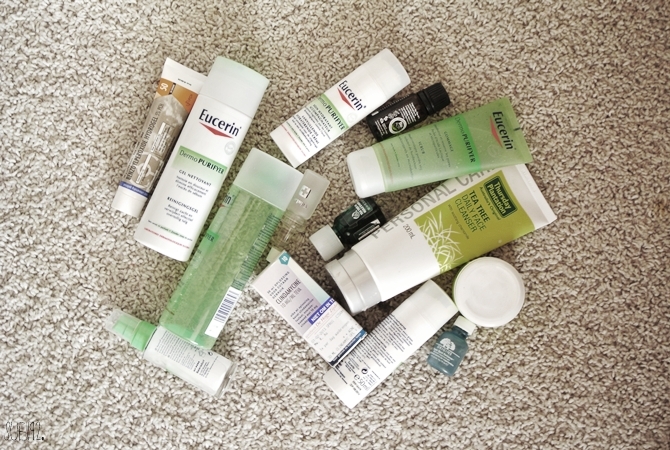 Unfortunately I am not in a state that I can review anti-acne products yet, but I will keep you posted!